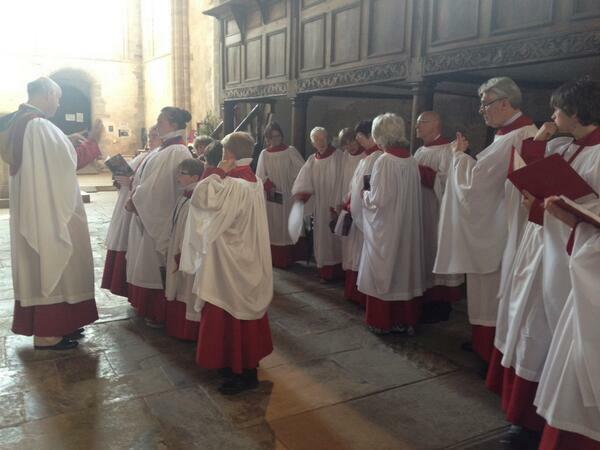 We are always glad to welcome new adult members of the choir. We have a particular need for experienced lower voices (alto, tenor and bass) to allow us to expand the range of music we sing. We do not audition new members, although those who can already read music and have experience of choral singing will find they have a head start! Rehearsals for adults are from 5.30 - 7.00 pm each Friday in the Priory Centre Song School. There are sung evening services on the 2nd, 3rd and 4th Friday of each month from 7.00 - 7.30 p.m.